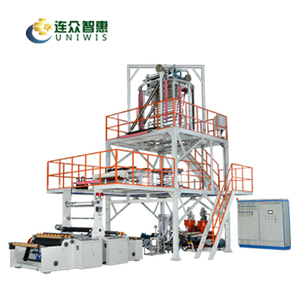 6 YRS Fujian Uniwis Industrial Co., Ltd.
Single/Double Winder Plastic Blown PE Film Extruder Machine Use: Single/Double Winder Plastic Blown PE Film Extruder Machine is used for plastic film blowing, like low density polyethylene(LDPE), high density polye thyle ne(HDPE), linear low density polye thyle ne(LLDPE). It is widely used for producing the packing bags for foodstuff, clothing, rubbish bag,vest bags and etc. Main Technical Parameters Model SJ- B5 5 Diameter of Screw &phi;5 5 Folding Width of Film 200-800 mm Single-face Thickness of Film 0.008-0.1 mm Max. 2. Main motor and traction motor all adopt frequency inverter controllers. 7. Traction rollers adopt air cylinders open and close, high quality and easy to operate. 8. Rewinder adopts torque motor control, suitable for film rewinding, speed adjustable. 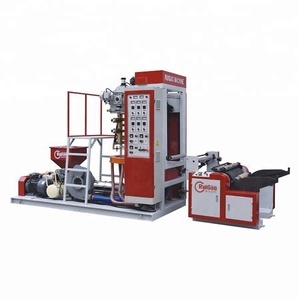 9 YRS Laiwu City Xin Guan Plastic Machinery Co., Ltd. They are seaworthy packing. Machine with one year warranty,all spare parts will be given free within one year. Engineer dispatch is possible,the buyer must assume the cost of round-trip airfare and accommodation etc. The main motor adopts frequency control of motor speed to improve the speed regulating stability of main motor and save electricity by 30%. The screw and material barrel adopt 38 chrome-molybdenum aluminum which has been nitrogen treated and the traction frame adopts lifting type. No matter what size the film is, big or small, it can achieve the best effect of cooling. The technician will indicate you how to use the machine as well. You can send e-mail, make phone call to contact us with your problem. Factory visit can see our website for more product information, please don't hesitate to call. 2 YRS Zhangjiagang Lianjiang Machinery Co., Ltd.
2.Clients Traning Services We can train your staff to use your film blowing equipment systems properly. For we strongly feels about the importance of supporting our customers and the product solutions we provide. Consequently we offer comprehensive maintenance options to prevent equipment issues before they become problems. It is widely applied to producing the packing bags for foodstuff, clothing, rubbish bag and vest ones. You should pay all the expenses including the two-way air tickets, food and hotel charge, and salary USD80 per day for engineer during this period. If there are any broken parts during this period, we will send you the new parts for free immediately once you feedback to us. 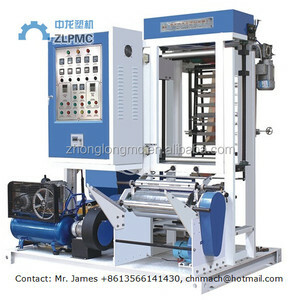 Alibaba.com offers 8,493 blown film machine products. About 62% of these are plastic blowing machines, 25% are plastic extruders, and 1% are laminating machines. A wide variety of blown film machine options are available to you, such as free samples, paid samples. 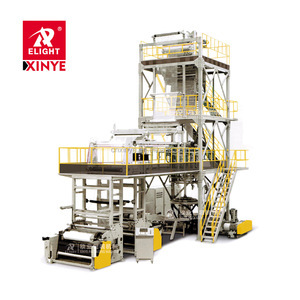 There are 8,493 blown film machine suppliers, mainly located in Asia. The top supplying country is China (Mainland), which supply 100% of blown film machine respectively. Blown film machine products are most popular in Domestic Market, Mid East, and South America. You can ensure product safety by selecting from certified suppliers, including 1,030 with ISO9001, 666 with Other, and 16 with ISO14001 certification.